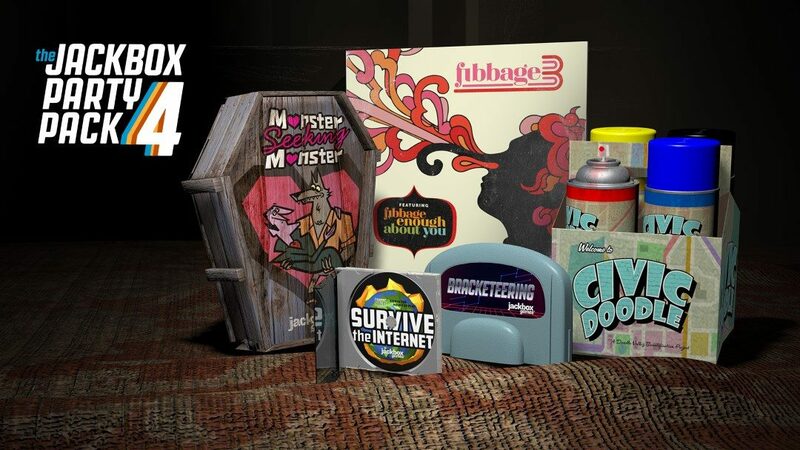 I mean, technically, we’ve already announced all five (and a half) games in The Jackbox Party Pack 4, but maybe you don’t want to read five (and a half) separate blog posts to get all the details. Or maybe you’d rather see all six-ish games in action in the below videos from our weekly Twitch and YouTube streams where fans get to play along. 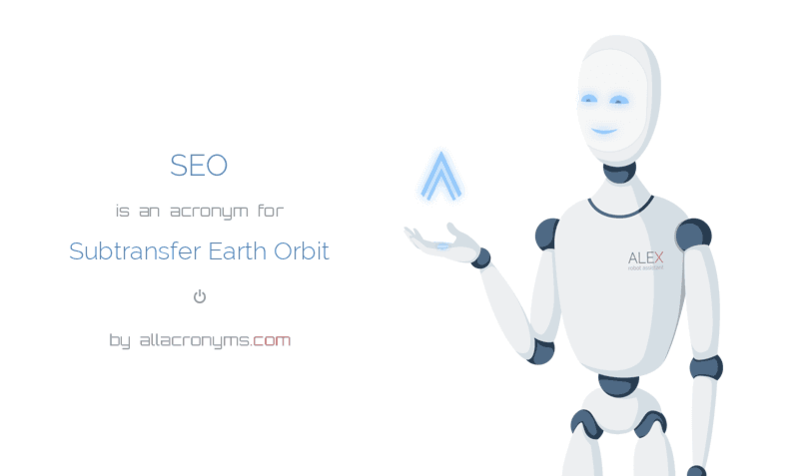 Or maybe one post is just better for SEO. Anyway, if you haven’t been keeping up, here’s all the fun to look forward to in this fall’s pack of games. We don’t have an exact release date yet, but we’ll let you know here (and on Twitter and Facebook) the second we do. Fall is getting closer and so is the release of The Jackbox Party Pack 4. * This year’s pack has Five and a half great party games. 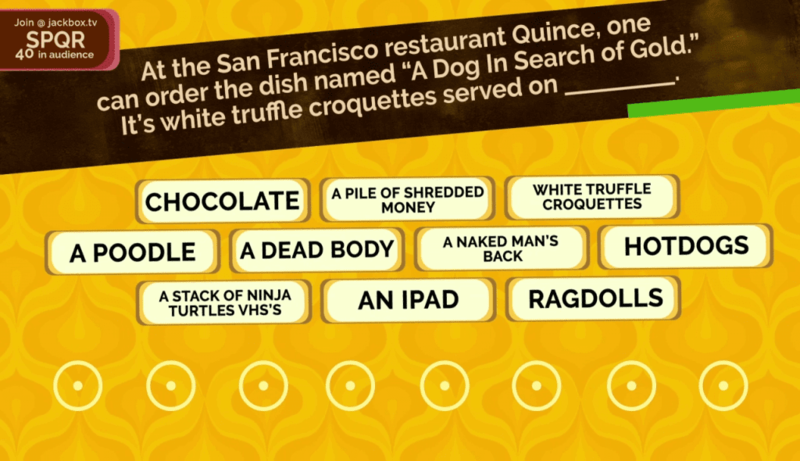 We’ve already unveiled Fibbage 3 and its all new game mode Fibbage: Enough About You (that’s where the “and a half” comes from.) We’ve given you sneak peaks of both Survive The Internet and Monster Seeking Monster on our weekly stream. 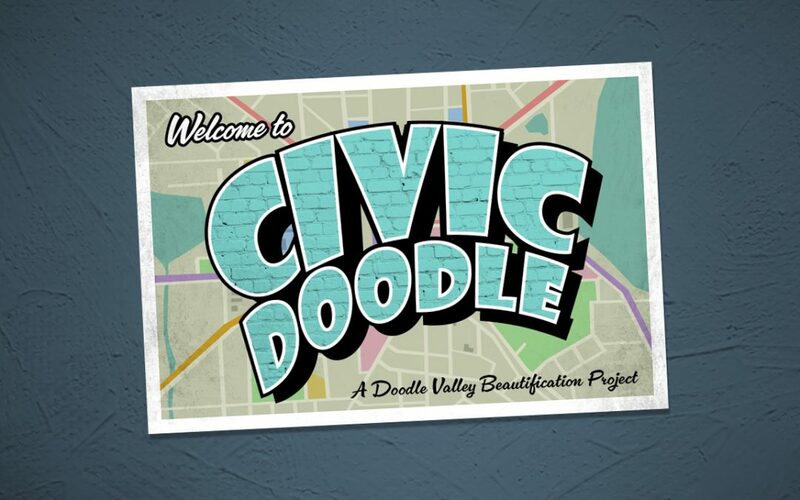 Today, we take a look at game number four: Civic Doodle! 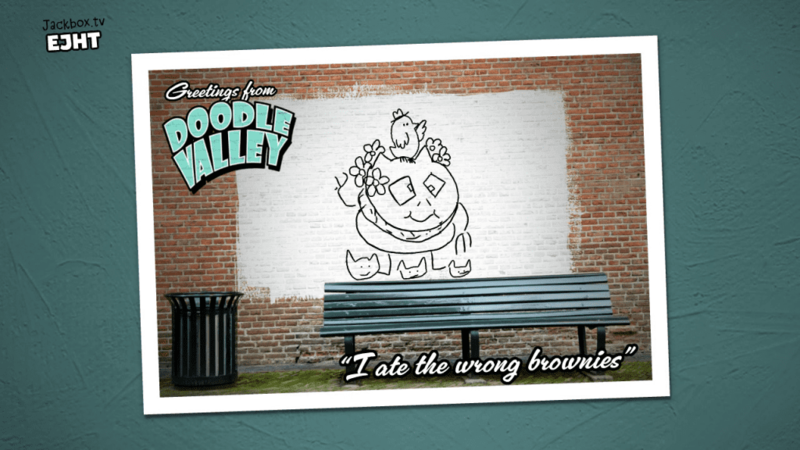 The good people of Doodle Valley have enlisted you and your fellow players to beautify the town with ridiculous murals. Two players draw at once, adding whatever they choose to a simple starter drawing. 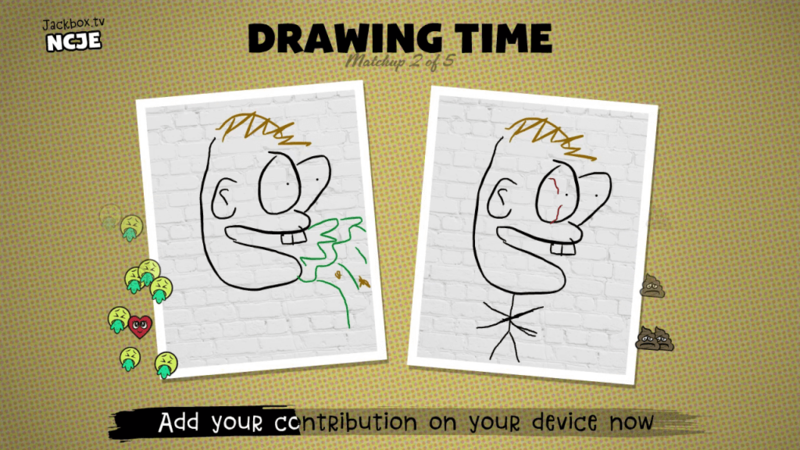 Other players can react with onscreen emoji in real time as the drawings are being drawn. When time’s up, everyone votes on which drawing is the best, and the winner becomes the new “base drawing” that the next two players make additions to. After everyone’s drawn twice, you get to see your finished masterpiece displayed in a place of honor in the town. In the final round, the Mayor of Doodle Valley (who you may recognize if you’re a longtime YOU DON’T KNOW JACK fan) commissions you to paint a portrait for the town hall. This culminates in a drawing free-for-all where everyone competes at once. We’re excited about this one, not only because it’s just a fun game, but because we’ve made some great improvements to our browser-based drawing tech that’ll make your absurd art look better than ever. Want to see the game in action? Check out the archive of our announcement stream on Twitch or Youtube. And follow us on Twitter and Facebook for all the latest updates, including next week’s reveal of the fifth and final game in the pack! *We don’t actually have a release date yet, but just trust us, it’s getting closer.